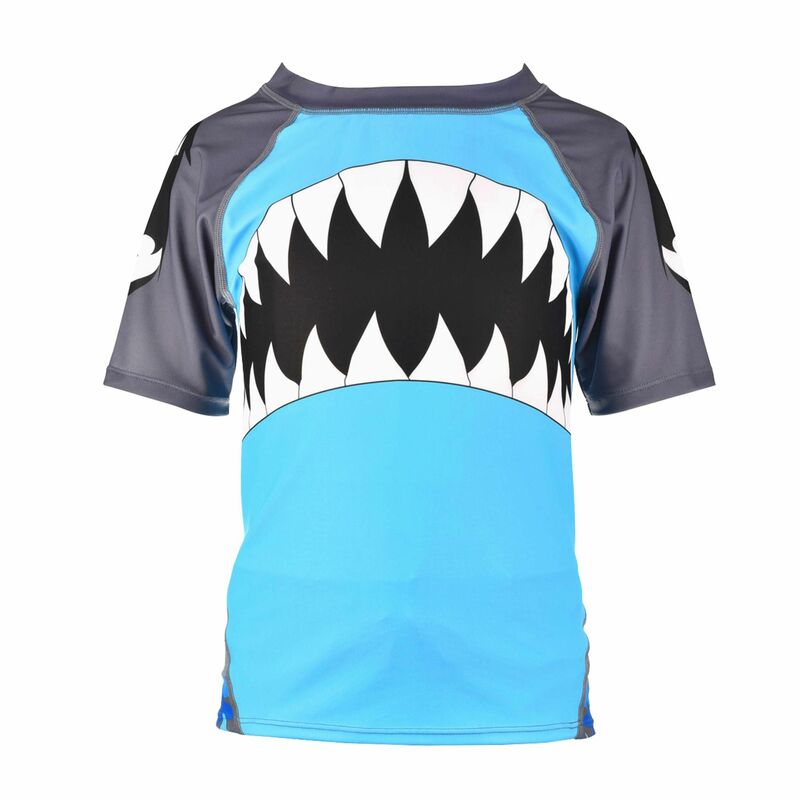 Look like a mischievous shark wearing this soft rash guard to your next swim session. 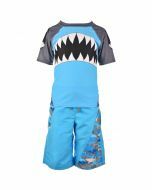 The playful design of the shark teeth, eyes, and camo print create a fierce look your friends won’t soon forget! 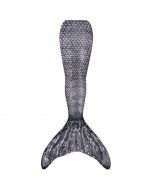 You’re going to need something to comfortably swim in while stalking the waters of your choosing. 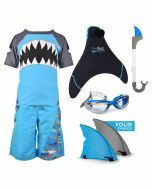 Reel in Fin Fun’s exciting shark rash guard to complete your look! 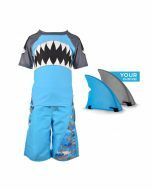 Pair this swim shirt with our shark-themed board shorts to get the perfect look for the pool. 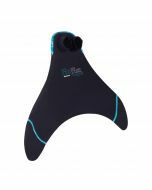 Get all of your favorite colors, in a fun combination of bright blue and gray, with white and black details! 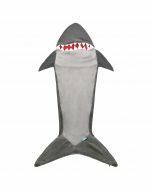 You’ll love how the solid colors outline the fun details of the mouth and eyes. 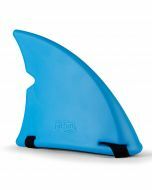 Your mermaid friends will likely swim out of sight after seeing an enormous mouth of pointy teeth coming their way! 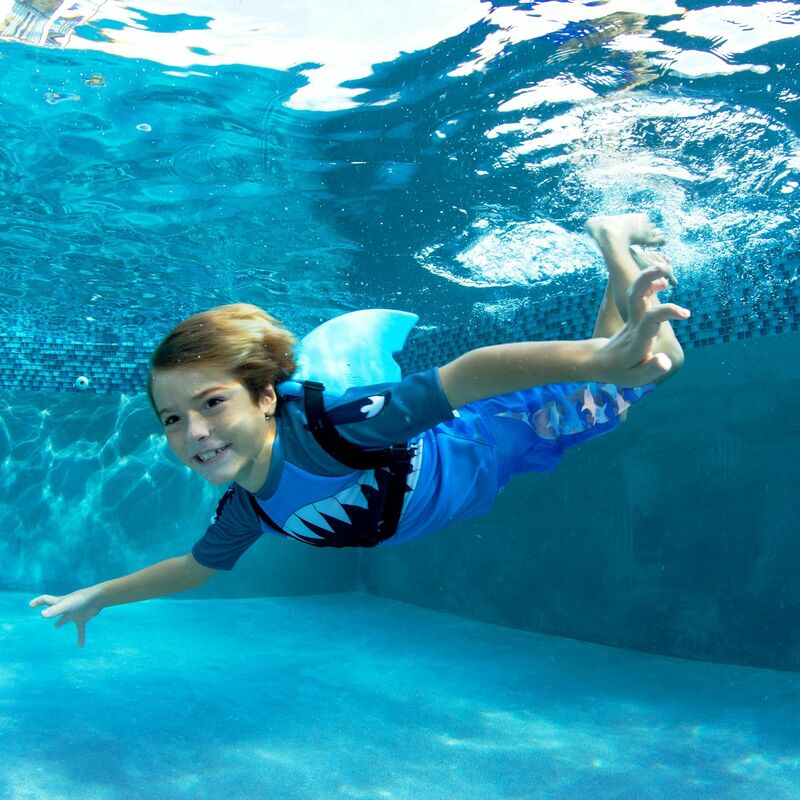 Care Instructions: Keep your swim shirt looking its best by avoiding sources of high heat such as those found in machine dryers, hot tubs, irons, and saunas. 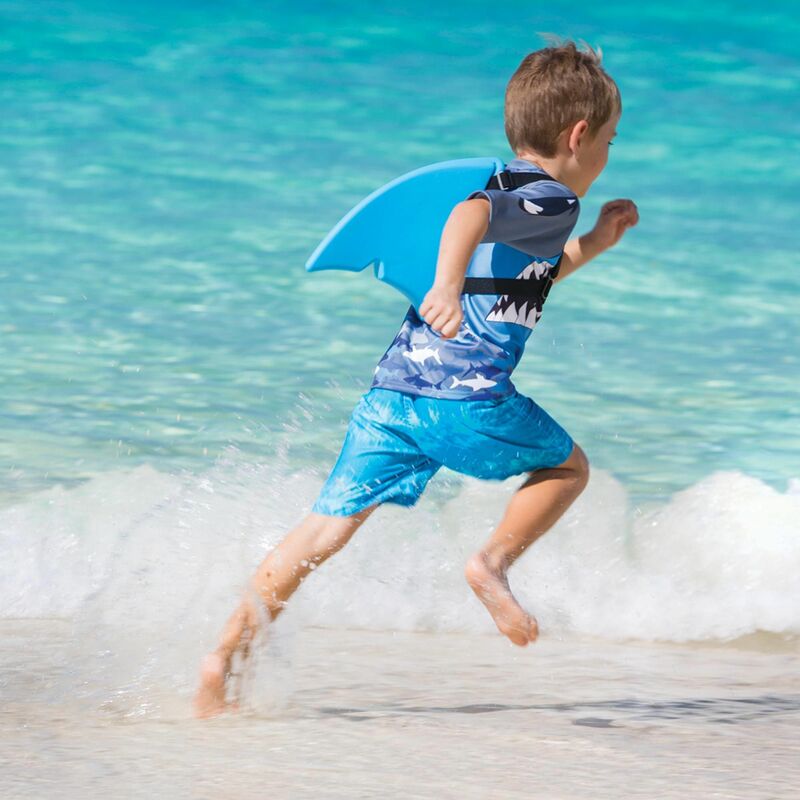 As with other swimsuit fabrics, gentle care is advised to promote longevity. To clean, just wash in the cold, gentle cycle and lay flat or hang to dry.